Wah Seong’s 1HFY18 performance was in line with our but below consensus estimates, making up at 45.1% and 40.5% of full-year numbers respectively. 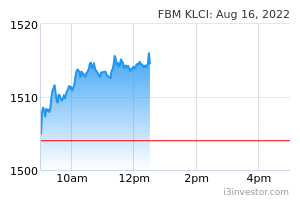 In line with higher revenue growth of +103.6% YoY, net profit for 1HFY18 surged to RM50.3m (+206.5% YoY) mainly attributed to gain on disposal of fixed assets. Stripping-off all the non-core items amounting to RM4.5m, Wah Seong’s normalized net profit remains strong, jumping by 160% to RM45.8m. The performance was mainly derived from increased activity in the Group’s major oil and gas project namely Nord Stream 2 (NS2). The project which is valued at EUR600m is currently progressing at 55% completion, and is still on track to complete in 2Q or 3Q next year. Our FY18 forecast is hence maintained though we trim our FY19/20 expectations by 33.8% on average due to slower-than-expected jobs win YTD. Our TP is subsequently lowered to RM1.28, based on 12x multiple to FY19F EPS of 16.4sen, the higher PE justifiable on improved oil and gas sector outlook while also in anticipation of more green field projects coming on line next year. 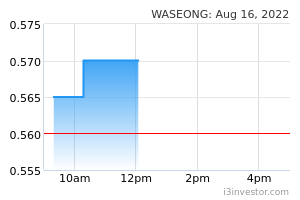 Our call is lowered to Neutral in light of limited upsides, with Wah Seong’s share price likely to still be under pressure as the status of our local pipeline projects i.e., Trans Sabah Gas Pipeline and Multi Products Pipeline remain uncertain. Financial highlights. The Group reported higher core net profit in 1HFY18 by 160% YoY as in tandem with higher revenue growth of 103.6% YoY to RM1.6bn. The performance was attributed to i) increased pipe coating activities especially from Nord Stream 2 project, ii) higher sales from boiler business and steam turbine in the renewable energy segment, and iii) higher sales in industrial trading and services segment. Outlook. Wah Seong’s FY18 earnings are on track to achieve our FY18 forecasts. Outstanding orderbook of RM1.9bn inclusive of estimated RM500m worth of new projects secured this year is expected to be recognized up to next year. The Group has a sizeable tender book of RM5.9bn from oil and gas pipeline projects such as in Australia and Europe. For Malaysian projects i.e., the Trans Sabah Gas Pipeline and Multi Products Pipeline are also included, though status of these projects remain uncertain. Oil and gas activities have picked-up in this year, but more on brownfield projects which are less capex-heavy amid operators’ cost vigilance. Pipeline coating services are typically applicable to greenfield projects, hence partly explaining its slower job wins. Earnings forecast. Our FY18 forecast is maintained as the NS2 project is progressing well currently. We have however slashed our FY19/20 profit forecasts lower by 33.8% on average due to slower-than-expected jobs win YTD.